Help! I Need a Publisher! : HOW LONG IS A BOOK? HOW LONG IS A BOOK? You quite often ask "How long should my book be?" and I've been meaning to blog about this. Then I belatedly came across Linda Strachan's vg post on ABBA, on the subject of lengths for children's / YA books, and it reminded me of my negligence to you. Do go and read it and pay attention to the comments beneath it, which answer the questions that Linda poses. Writers worry quite a bit about how long their books should be. And people like me worry quite a bit about how to give the right advice - because you want a straight answer, but the only true answers are quite wiggly. As a writer in the arty sense, the truest answer I can give, though it's not the one you want, is that "the book should be the right length for the story." The story should fit beautifully inside the covers (whatever size those covers are) and the reader should not feel that you either spun it out or cut it short in its prime with a headlong rush towards the end. As a writer in a practical frame of mind, however, I have to have some commercial considerations in mind. These considerations are even truer for the unpublished author, who has not established an audience. The first thing I'd say is that if you're going to look around to check out the lengths of similar books to yours, a) that's a very good idea indeed, and I hope you do, BUT b) do not consider the unusually short or long in this equation; and do not consider any books which had phenomenal success despite being extremely short or long. For example, if you're looking at the lengths of books for 10-12 year-olds, ignore the length of the Harry Potter books. Extremes and exceptions tell you nothing useful. The second thing I'd say is that word count is a bit of a red herring. Yes, we have to use it because it's the only objective method we have, and agents and publishers need it. But publishers are perfectly capable of making a book look longer or shorter than it is - by judicious use of font size, font type and letter/line spacing. That's what they'll do, but unfortunately it doesn't help you because they do sometimes get quite hung up on word length at the acquisition stage. Each book will be costed at an early stage in the process - often at the acquisitions meeting which is also deciding whether to accept it. The cost must account for the number of pages to be printed. The price points of particular books don't vary as much as word length, and they have to compete price-wise: so the price cannot usually reflect the different costs of production between a book of, say, 300 pages and a book of 500 pages. Therefore, an over-long book which a publisher is unsure about is more likely to be rejected than if it was a standard length. Readers do sometimes consider the value of a book according to how long the pleasure will last. So, some readers will reject a book if it's too short, especially by an unknown author. I know that doesn't seem right, as a book's value is not related to length, but it's what many readers do, often subconsciously. Similarly, and particularly in some genres, a book that's too long may put readers off. This is particularly the case in children's writing. Identify twelve books which you think would be your competitors - with the same readership. But do not include extremes (see above). Remove what look like the two shortest and the two longest. Do a rough word count for each of the remaining eight: simply do an accurate word count for ten full pages in each and multiply by the number of pages. Make some vague adjustment for pages which only have a few lines on them. Is there a very large range? For example, is the shortest 90,000 and the longest 250,000? In that case, your genre is wide open and you don't have too much to worry about as long as you keep within that range. If they all seem a similar length, work out the average and try to stick to within 15-20% of that average. As an enormous generalisation, because I sense that you want me to give figures, I'd suggest that a starting-point is that a novel for adults will generally be longer 100,000 words and a novel for teenagers will be less than that. My novels have ranged from around 42,000 (Mondays are Red) to 78,000 (the Highwayman books). When you hold them in your hand - which is what really matters to the reader, who has no idea of the number of words - Mondays are Red feels too short to me and the Highwayman books feel too long, especially since they are aimed at younger teenagers, including 10+. Despite that, they both did well, but I'll never know who was put off by the length of the Highwayman books. In my opinion as the author and a keen book buyer, my new baby, Wasted, feels like the perfect length. Mmmm, beautiful - I'm still at the stroking stage, I warn you. It feels chunky enough to last a good number of hours, but not at all off-putting. It has 352 pages and contains something not much over 60,000 words. That's the target I've given myself for the next one, and it just "feels right". Would you like to hold Wasted in your hands and see if you agree?? You can stroke it, if you like. I've had fabulous feedback from the advance readers, including booksellers, and I am offering a weekly draw over on the Wasted blog. All you have to do is register as a follower and you'll be entered each week. 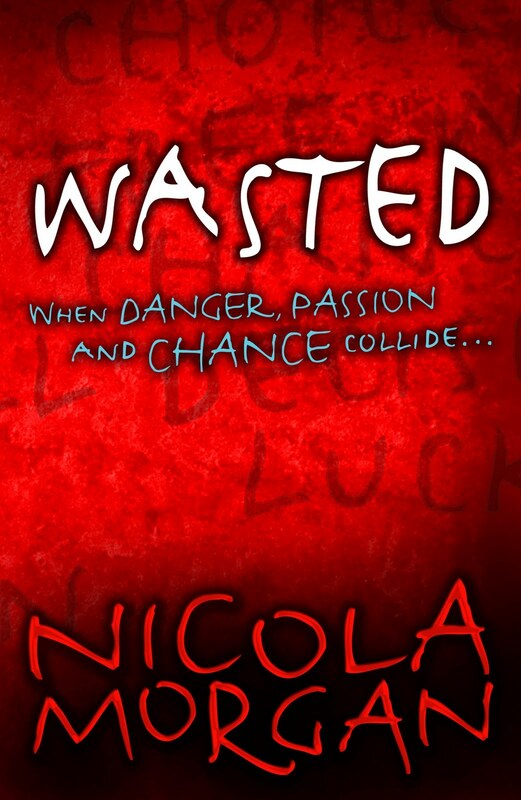 The Wasted blog is launched on April 23rd and from that day on I offer you a feast of info, snippets, competitions, stories of fate / luck / chance, and lots of ways for you to get involved. Head over there now so that you are with us when we begin the fun and games! As a writer, I want my books to be 'as long as they need to be'. As a reader, I want the story I'm enjoying to continue for as long as it can keep up the momentum and interest. But as you say, publishers are looking for any reason at all to say no. I was talking to an editor just the other day who freely admitted he is seriously deterred if the wordcount is too short or too long. Exciting news about Wasted - I'm heading over there now! This is one of my real Bugbears, Nicola, and one of the "Top 10 Reasons I Became a Self-Publisher". First, I want to underline again and again how wondeful that piece of advice you give about ignoring exceptions is - how many times do we hear tales of "ah but such and such did xyz and THEY made it" - a good rule I find is that if you can name the people who did xyz and succeeded you should probably avoid doing xyz because there's a very good reason you can name the people in question - they're the ONLY ones who did it, and "succeeded" is a less appropriate term than "got away with it". Anyway, back to the bugbear. Many of my favourite books (Marie Darrieussecq'a Mal de Mer, Alessandro Baricci's Silk [the exception in that she is an English author, so ignore it - Josephine Hart's Damage], Carlos Fuentes' Inez, Banana Yoshimoto's Kitchen etc.) are short. Very short. Almost shorter than a novella. I KnOW the argument - publishers are OK with these authors because they were successes before the translation rights were picked up. BUT Joe and Jane Public browing the tables in Waterstones don't know they were phenomenally successful in their own country first. They first meet the book as something new. Maybe the public is more willing to try shorter books if they're in translation (in which case someone is missing a marketing trick)but they clearly ARE prepared to try great novellas by people they don't know. An anecdote - one of our authors at Year Zero, Daisy Anne Gree, has written two books, both in the 30-40,000 word range (Babylon and The Dead Beat). Daisy, who writes Beat-inspired urban gothic literary fiction, has quickly established herself as the rock star of our little band, to the extent that I was talking about her to a publisher who was drooling over her work, and said to me, with a straight face, "yeah, we could put them together in one volume". Fragments, incidents, but illustrations of one reason why we set up Year Zero for self-publishing authors who take their writing more seriously than stereotypes about what the public will and won't read. As for length - I'm working with my editors now on the second novel and we're trying to keep it roughly the same size as the first book - about 60,000 words. My readership is the 12+ range. There needs to be room for world and character building, but not so much room that it gets waffly. Apparently I'm very good at waffling. This is something I've really struggled with. As a reader I enjoy longer books much more, so when I wrote my first novel it ended up way too long. Then I decided I wanted to get published and discovered that my MS was about 4x the length of what any publishing professional would consider. I understand why but for me it was counter-intuitive. As a reader I love long books as long as it stays gripping and engaging the entire length. Sometimes when reading long books, I definitely see parts that could've been cut. As a writer, I pay attention to the suggested word counts, but I write the story as long as it needs to be. Then I go back and edit or add whatever it needs if it works for the story. I've been trying to cut, because I keep hearing about the 100,000 word mark being at the edge of too long. Also, my manuscript needed it, ha ha. I started at 116,000 then went to 125,000 in revision and finally I've got down to 106,000 (roughly). All this for a crime thriller! Stupid characters, always doing too much. Why cant' they just sit on the couch and watch TV? I do know that the genre in which I write --historical romance/saga--is more forgiving of longer lengths. (In fact one editor told me readers of this genre expect it.) Hope against Hope is 150,000 words. Buyers have commented--but not unfavourable--on the 'fatness' of it. I don't go into my manuscripts with word count in mind, but they seem to be in the right range when I'm done. It must be terrible to finish and be so off the mark of what's acceptable that a huge rewrite is needed. You know Wake by Lisa McMann is about 35000 words, but it was sold as a novel, since there are so many one word paragraphs (I was disappointed with the writing style), I guess it got away with it. Thanks for the great advice. I've got to choose the random 12 novels soon and see. Teen novels, though, I've noticed, seem to be getting longer. I have no idea how many words I'll be cutting out after the editing. Novel length troubles me too. The best advice I was given was 'it's only too long if it feels too long.' which is, I suppose, what you mean by being the right length for the story. That's interesting, Sally. Certainly where I am (in Oxford), the Waterstone's "in translation" table and the "recommends" table are weighted heavily towards novellas. I possibly overextrapolate the extent to which Waterstones has a national as opposed to local policy, but still the fact that authors with novellas in translation of whom no one has heard suggests that someoen thinks novellas in translation will sell in a way they don't think novellas by new authors not in translation will sell. I would imagine, of course, a lot of this is down to the publishing process and the sums involved in aquiring translation rights. I am guessing that as zero-advance contracts become the default rather than the exception for small presses, we will see more books outsied the hidebound categories. Interesting post! For interest, my two (unpublished) novels are both about 75,000 and I think my WIP will be as well, when it's finished. I'm comfortable with that amount of words. I guess that's a part of it too: if an author feels like the story is being dragged out, then so will the reader. I'm over 10,000 words into my experimental novella. I was planning on making it at least 25,000 but it's "telling me" it's almost finished. another 2,000 words should do it. 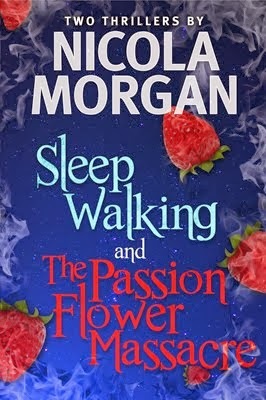 Not that it's ever going to be published, I guess; it's a bit too weird for that (+ being a novella: as you wrote Nicola, even established authors have a hard time getting their novellas published). Still, a useful writing exercise for me. Hope there's a continuing buzz about Wasted for you for a long while! Even though I don't usually read YA novels, I'd really like to read it sometime. Some of my writing students over the years have had an obsession with the length of their novels. I do the usual sensible thing of telling them that the book should be as long as it needs to be to tell the story - and that it will show if they have stretched thin material, or rushed to pack too much in. One of the most common faults I've found with aspiring novelists is that they don't really have a story worthy of a novel - they build up to what they think is a spectacular revelation in the middle (which can often be quite pedestrian) and then when we get to the end I am left with the feeling that not much has happened. Those 70,000 words could have been told in 20,000 and then something more interesting could have happened. A very good point about launching on a novella. I think you're right: people are extremely unlikely to purchase the book when by an unknown and only a novella. (coming from me, who is writing a novella and unpublished....hmm!). Great post. My aim is 80,000, this is the acceptable figure in my genre, so I am told. I used to stress over it, now I just go with the flow. Wasted does indeed look fantastic and I will be reading it soon. Promise! I am of the mind that a book is a book. Crush It was tiny, less than 100 pages but a great read. But some of the lengthier self help books are just annoying, going through the same waters again and again. Well done with Wasted. Hi James. Sorry, only just saw this comment because blogger had put it into spam! I don't moderate comments but comments on old posts go into spam automatically. Yes, a book should be as long as it should be.